Long shadows of winter cast blue against snow-girt fells. Dales wallowing deep in the fresh snow of the newly arrived season. Lakeland in winter is a magical time. A time of excitement, of improbable beauty, and of magnificent landscapes. But winter can also bring hard weather to Lakeland, both for the folk who choose to make a home in these wild fells, and for the wildlife that ekes out a meagre living here during the dark months. 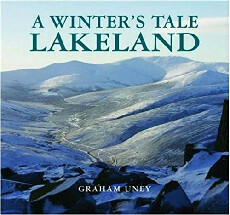 This book shows all sides of a Lakeland Winter.The beauty and majesty of snow-capped fells glinting against powder-blue skies; the exhilaration of the frosty air over the ice-fringed lakes; and the cosiness of little Lakeland settlements huddled deep against the cold.